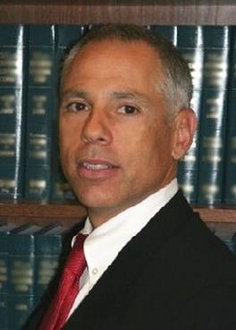 Dennis A. Cammarano is the founding partner of Cammarano Law Group. A frequent speaker at seminars and professional conferences on legal issues affecting commercial insurers and the transportation industry, Mr. Cammarano brings over 30 years of seasoned experience to his practice. He lectures for the Insurance Educational Association on ocean and inland marine insurance and has been awarded Martindale-Hubbell's highest rating, "AV," the highest such rating available to any individual lawyer. He is a State of California recognized specialist in Maritime Law. Mr. Cammarano has served as a judge pro tempore for the Los Angeles County Court system, and is listed in WHO’s WHO in Executives and Professionals. He is a Proctor of the Maritime Law Association and an active member of the American Bar Association, the Association of Marine Underwriters of Southern California, and the Transportation Lawyers’ Association. He is also a member of the California State Bar Maritime Advisory Committee. Born in New York City, Mr. Cammarano began his practice with the firm of Vincent, Berg, Russo, Marcigliano & Zawacki and gained extensive civil litigation experience, including complex commercial litigation, defense of personal injury actions, subrogation, and products liability. In 1985, Mr. Cammarano moved to Los Angeles and continued his admiralty and insurance litigation practice where he founded the law firms of Grayson & Cammarano, and in 1996, the Law Offices of Cammarano, Sirna & Daley LLP.